Joween identifies himself as a closet otaku. In general, he'll write anime stuff, but sometimes, he'll go over writing tech & random stuff. Please watch this video first. If you are given the chance to switch worlds, what world do you prefer? If you watched the featured video above, you would surely notice that 6 anime was featured in the video is also featured in this hub. 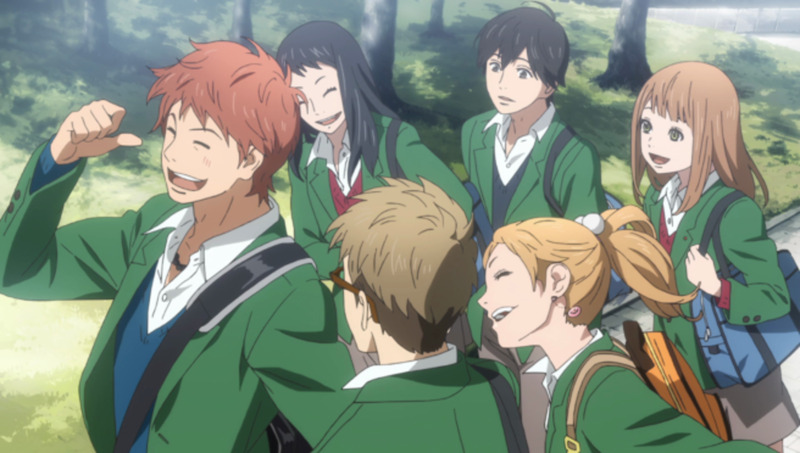 I list every anime based on its story, characters, animation and its emotional impact. I guarantee that when watching every anime, you will experience joy, unexplainable sadness, excitement, fear, and in some cases, it can cause restlessness, actually... I'm not kidding. This is called "anime-hangover" and I experience this a lot. If you are genuinely eager and really wanted to enjoy life by watching anime, this hub is dedicated to you. I cannot guarantee that everybody will agree on my list, but I can surely guarantee the entertainment value and time spent will not be wasted. Clannad has 24 Episodes including extras while Clannad ~ After Story ~ the continuation of the series has a total of 26 episodes including the extras. 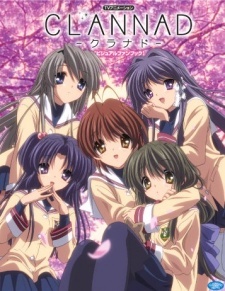 a. Clannad's story revolves around Furukawa Nagisa, Okazaki Tomoya, and a variety friends. Nagisa was physically weak, due to this situation, she retook her senior year and met Tomoya. A delinquent who likes to skip class with his friend Sonohara. One morning, Okazaki saw Nagisa nervously and trying to get a grip on the situation she is in. Curious about the situation, Okazaki talked to Nagisa. Sparkling their remarkable story and journey through life. b. Clannad ~ After Story ~ on the other hand, is the continuation of the Clannad series. This anime is best described as an all-in-one. Every anime lover knows about this anime. If you are a newbie in watching anime, start with this anime. At first, I hesitated to watch this anime because of its character design like that in the picture, but don't get fooled. This can indeed make you cry, laugh, smile and can even get you think of your life. 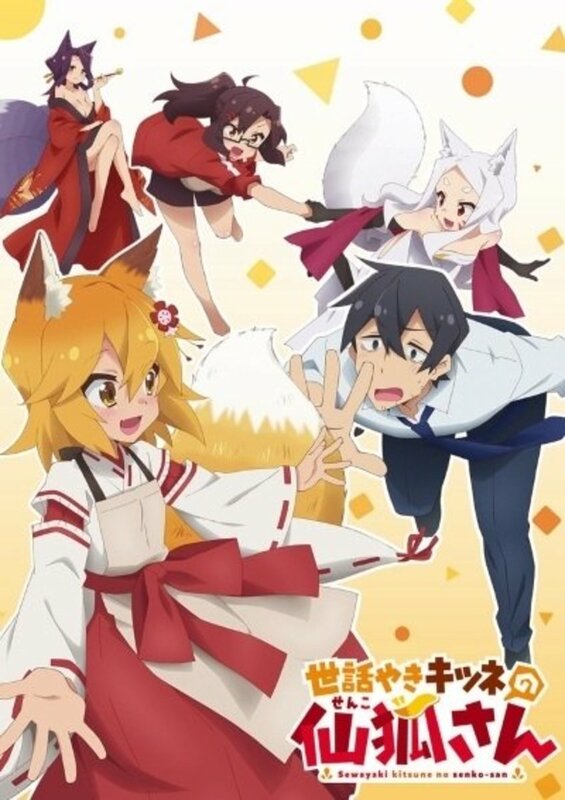 Once you started to watch this anime, finish it, and don't drop it. I can assure that you'll love this! This anime is very emotional... really a lot!!! So prepare yourself. The story revolves around Jinta Yadomi and a group of his childhood friends. A tragic accident ended the life of their friend Meiko Honma, which later became haunting Jinta. Facing guilt and shame to the fallen friend; they regroup to face the sad reality, to correct it, they face odds and the test of courage. To avoid future conflicts, each of them tried their best to handle the situation. They encounter anger, envy, and even love. In the end, they will experience something that will forever change their life. This one was also a tear jerker, so also prepare yourself. Recommend not to watch if you are deeply depressed as this may worsen your condition. 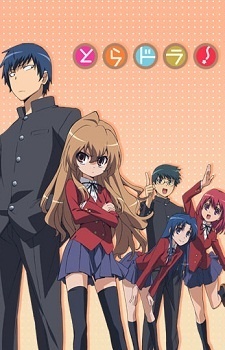 Also, called as TigerXDragon, this is a story of a girl named Aisaka Taiga, a boy named Ryuuji Takasu and a bunch of friends. Both of them, Taiga and Ryuuji are feared in their school, though it is a big misunderstanding. Ryuuji was a son of a feared gangster, which he, unfortunately, inherited the face while Taiga, on the other hand, has a broken family. Taiga is termed as a "tora" or a tiger, and Ryuuji as a "dora" or a dragon. Together, they help themselves to get close to their crushes, but an unexpected turn of events turned them to which you can see in the video above. This anime has lots of fun scenes that viewers can enjoy. Probably, one the best romantic comedy anime that I've watched. An anime adapted from the comedy manga by Keiichi Arawi. Animated and Produced by Kyoto Animation. 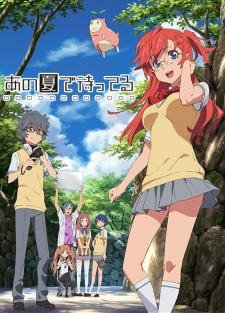 The funniest anime that I've ever seen, every episode is funny, from exaggerations to weird jokes plus the characters. This one is classic. This is a story between the three first-year students: Yuuko Aioi, Mai Naganohara, Mio Naganohara and the Talking Cat Sakamoto-san, robot Nano Shinonome, 2-year-old professor (who created Nano) Hakase Shinonome, and don't forget the Narrators! :) and more! It is worth watching, plus I also love the songs. This is the only show where you can see a School Principal wrestle a deer. Totally crazy! This is an anime adaption of the light novels written by Nisio Isin. Produced by SHAFT. This anime has quite a confusing season/episode sequencing (Yes! I'm confused at first) so please refer to this hub for the correct sequence. And being produced by SHAFT, this anime contains weird animation and music, some users might like it, and some may find it confusing. But it is worth watching. 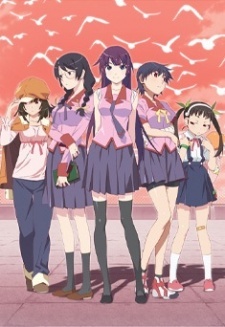 The story revolves around Koyomi Araragi, a high school student, who is an immortal half-human, half vampire. One day, the "tsundere" Hitagi Senjougahara, falls down the stairs into Koyomi's arms. 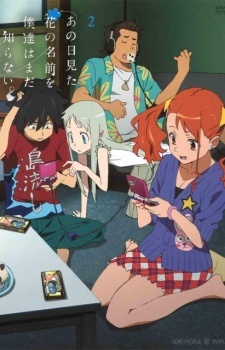 Despite threatened by her to keep away, Koyomi still offered his help and introduced her to Meme Oshino, a strange middle-aged man living in an abandoned cram school building, who loves to wear Hawaiian shirts. As the series progresses, Koyomi finds himself involved with other girls, each afflicted by different "oddities." This anime reminds me of how art is induced in an animated object. It is unique, strange and funny at the same time. I really love the way Hitagi treated Koyomi and vice versa. You can also see him and her in the video above if you watched it. The story revolves around Yuuta Togashi, an ex-chuunibyou sufferer who discloses the fact that he has once been a victim of that syndrome. Ashamed from that, he tried to keep it a secret and choose a high-school very far from his former middle school. But this plan was disrupted when he met Takanashi Rikka, a chuunibyou sufferer who admired Yuuta for his coolness as the Dark Flame Master. Together, with the help of their friends, they face various happenings that can one day changed their impressions and understand each other. 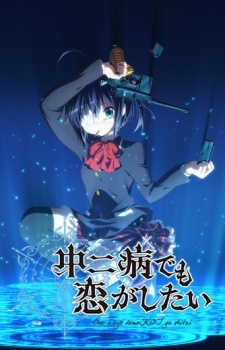 This anime has two seasons, Chuunibyou demo Koi ga Shitai!, and Chuunibyou demo Koi ga Shitai! Ren (Love, Chunnibyou, and Delusions (heartthrob)). With the essence of romance and comedy, this anime is worth to be on this list. This is an out of this world romantic love story between Ichika Takatsuki, an alien, and Kaito Kirishima. Together with their friends (and lovers), they decided to make a movie to be done in summer. While making the movie, they end up learning more about themselves and feelings towards each other. Probably the best anime to be in a live action film produced by someone in the Hollywood. This anime has this unique texture and feel that can shake your thoughts about the world and can make you restless. Promise! The story revolves around Sorata Kanda, a boy with an unconditional love for cats transfers to Sakorasou, a dormitory for problem students in his school, as a punishment of bringing cats in his previous school dormitory. 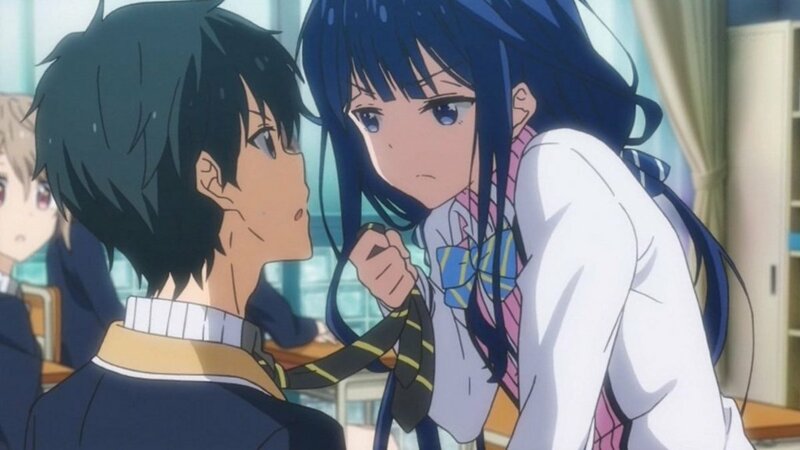 His teacher suddenly orders him to meet Mashiro Shiina, a cute girl with a mysterious, out of this world personality. As the story progresses, Sorata later knew that Shiina is a brilliant and a very know artist. Sakorasou's residents, Ryuunosuke Akasaka, Jin Mitaka, and Misaki Kamiigusa joined Sorata and Shiina's path to the development of the story. Talk about romance, and funny? The Pet Girl of Sakurasou has it. But I will definitely be happy if they will create the season 2. 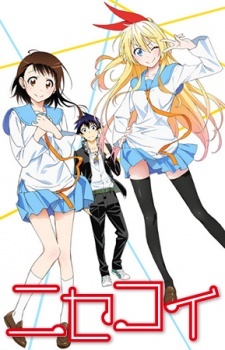 The story is all about the promises of Ichigu Raku, a lone son of a Yakuza organization who was in a weird manner became as a fake boyfriend of Chitoge, also the only daughter of the opposing clan. He made a promise to a girl 10 years ago, but he cannot remember it now. So, he decided to find the girl. But with a funny turn of events, his plan can't be followed. 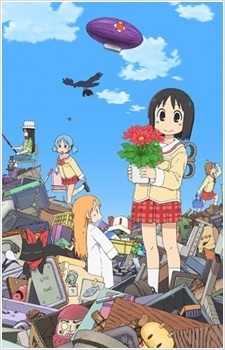 This anime was already featured in many of my hubs about anime, so you must check this out. It is worth the time and hysterical, entertaining and romantic. When you've done watching this anime, you can now join our #teamKisaki or #teamOnodera club. Mirai Kuriyama, our heroine, is a first-year high school student with an incredible power of manipulating her blood into a weapon. Akihito Kanbara, our hero, is a sophomore. Mirai had a mission to kill Akihito but ended up failing every time since Akihito is an immortal half-shade - a hybrid between a human and a demon. The two may be different regarding powers, but they are almost the same on how people treat them like monsters. These mutual relationships lead them liking each other. But with problems and villains on their path to happiness, can they both survive and also save the world from annihilation? Two words to describe this anime: Excellent and Interesting. Excellent, because of Mirai's power, and skills. Interesting, because you cannot actually predict what will happen next. Worth checking. 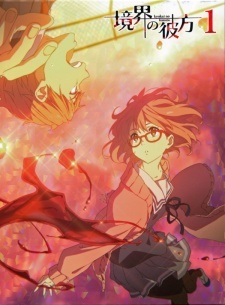 Kyoukai no Kanata - I'll be there Mirai-hen - the continuation of the series. If you are reading this article, you probably love anime so much that you searched for it. So, please make it as an inspiration, not as a reason to escape the real world. Anime is a form of a fiction realized by talented animators, producers, directors, novelist, manga artist and people who dedicated their life making it. Not only Japan but the whole world. Did you like this list? Agree to Disagree? Have an anime I don't have? Tell me, or else I would feel so bad! Thanks for the time reading this hub, you may want to check out the hubs below to show support. Very interesting list. I've seen four of them (the two Clannad series, AnoHana and ToraDora) and am reading the manga for NiseKoi; all of the others rank high on my list of shows to watch. Personally, I'd fully agree with the two Clannad series and AnoHana being Top 10 material, and partially agree on ToraDora, though I must concede the manga for NiseKoi gives me the strong suspicion I'd not have the series anywhere near my Top 10. Some that would make the cut: Maison Ikkoku (best show ever), Fullmetal Alchemist: Brotherhood, Bunny Drop, Kino's Journey and Elfen Lied. In all probability, the last two spots would go to Shirobako and either ToraDora, Cowboy Bebop, Ranma 1/2, The Slayers (either the franchise as a whole or Next), Tiger & Bunny, Angel Beats! or Penguindrum. I'll certainly keep a lookout for a chance to add some of your other favorites to my own list (though Aniplex's highway robbery prices make the Monogatari series likely but a pipe dream, I fear). I have heard about this one (8. 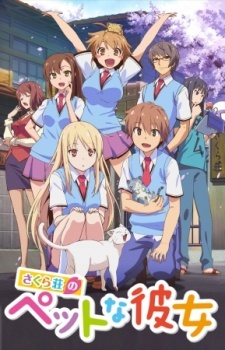 Sakurasou no Pet na Kanojo) from my classmate. She is a fan of animes. I think those pictures are beautiful. Maybe I will take a look at these animes soon. Haven't watch this animes. There's no Psychic Detective Yakumo, K, Uta No Prince Sama Maji Love (part 1 and 2), Psycho-pass, Code Breaker and Zetsuen No Tempest. Please update. I want to read more reviews from you regarding anime. From this list, I watched Anohana and Sakurasou no Pet na Kanojo, and tried watching Chuunibyou demo Koi ga Shitai!, but quickly realized it wasn't my style. Needless to say I cried my eyes out at Anohana. Sakurasou was really great at the beginning, but it started losing some of its greatness as it went along.